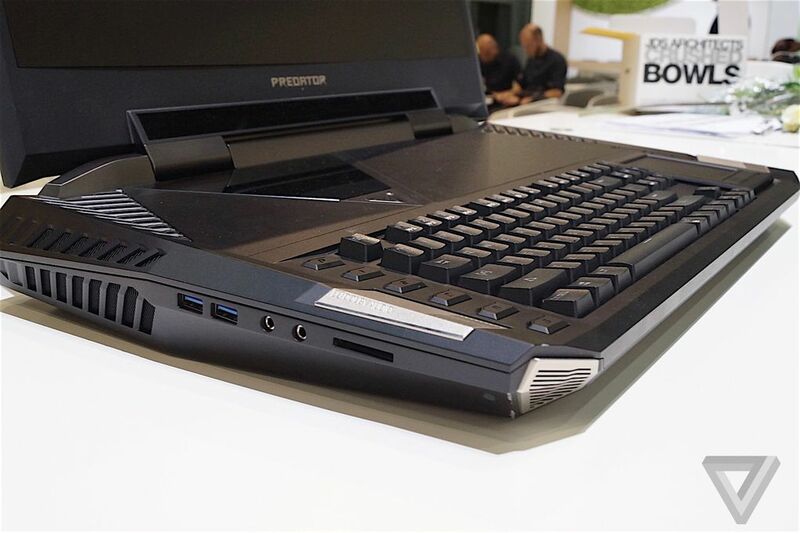 Acer’s new Predator 21 X is a monster. 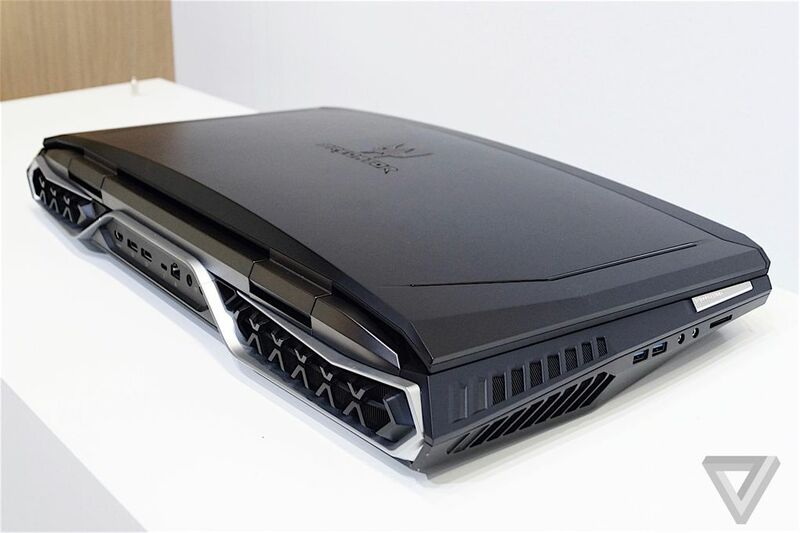 Not only have this machine’s designers put a curved 21-inch display on a laptop for the first time ever, they’ve also gone and given ittwo GeForce GTX 1080 GPUs as well. 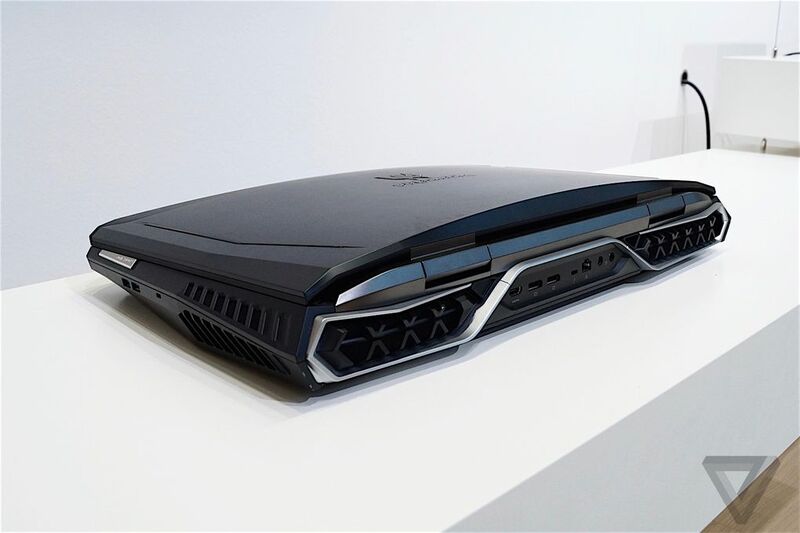 Add in five cooling fans, a 7th-generation Intel Core K-series processor, and space for as much as four terabytes of SSD storage, and you have a laptop that’s beyond obscene. 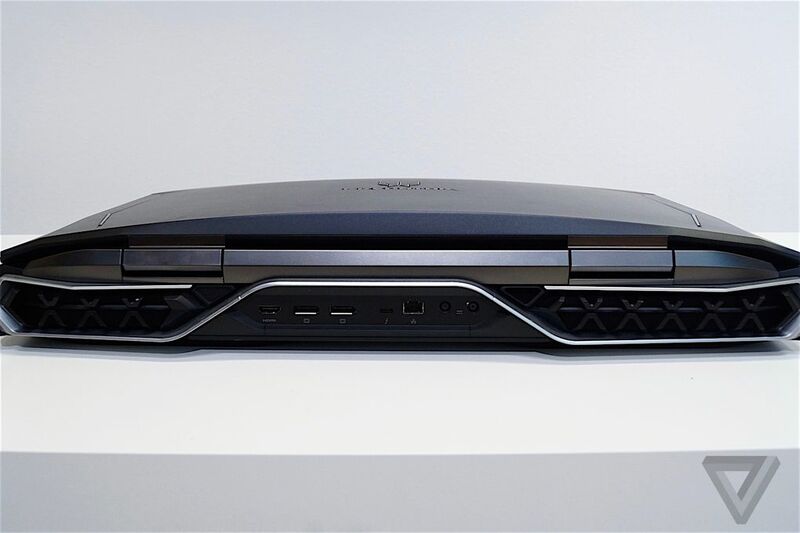 Unveiling the 21 X at IFA in Berlin today, Acer acknowledges that this laptop is more of a proof of engineering acumen than any sort of "big seller" retail product. Each Predator 21 X will be made to order, starting in January of next year (which is how Acer can advertise today that it will have an Intel CPU that technically hasn't yet been announced). Among its other cool features and specs, there's also room for four DD4 slots that top out at 64GB of RAM, Tobii eye-tracking, a mechanical keyboard, a 4.2 sound system, a window to show off one of the big fans, and a numpad that flips over to turn into a touchpad. Oh, and it also has an SD card slot. How practical! Seeing the 21 X in person is a hilarious but also charming experience. 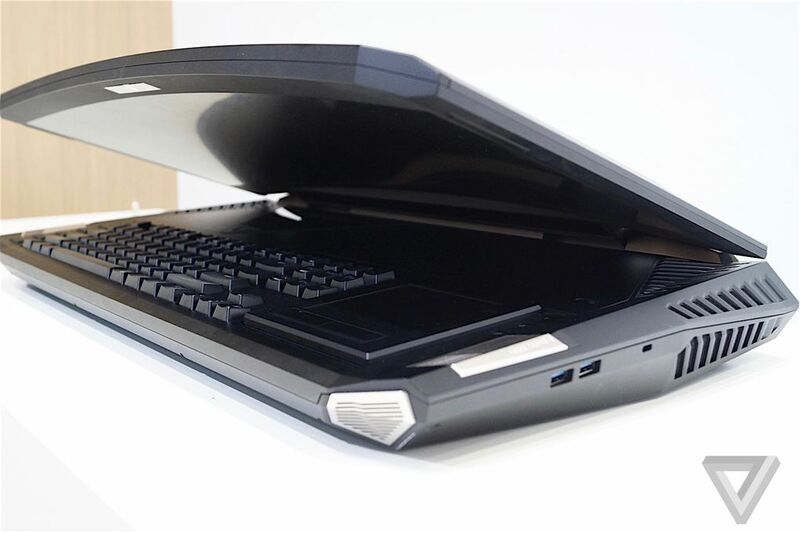 We often say gaming laptops are ridiculous, but this one — with its gaping upside-down smile generated by the gap between the keyboard and the curved screen — is that extra bit more ludicrous. How do you even begin to judge or weigh the merits of such an outlandish creation? 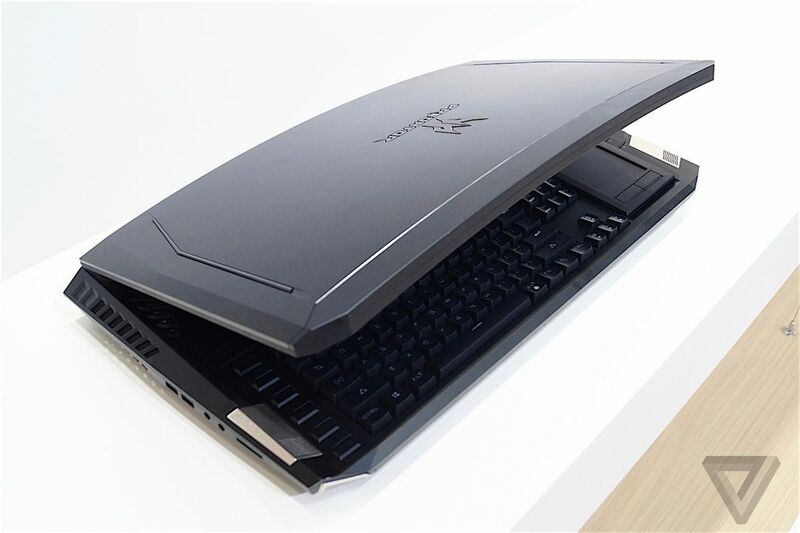 At 8kg, the 21 X weighs more than seven of Acer's newly introduced Swift 7 laptops, offering the direct opposite to the Taiwanese company's ultrathin portable.